I am often surprised at how quick my kids are to understand technology. 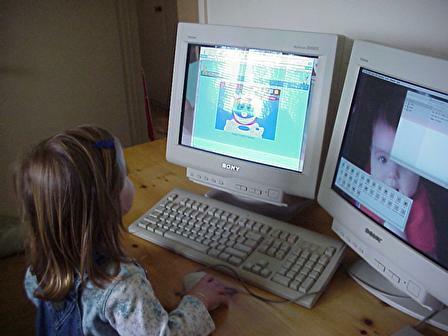 That at a young age they can make the connection that moving and clicking a mouse affects what happens on the screen in front of them just fills me with awe. Several years ago Tomas made a flash coloring page for M which she adores.